Five inches of distance in the shot put competition turned out to be the different in a triangular meet between Penn, Mishawaka and Clay on Tuesday, April 9, 2019. Mishawaka ended up wining the shot put by five inches and clinched the victory over Penn by two points. The final score was Mishawaka 82, Penn 80, and Clay 5. Mishawaka entered the shot put competition – the final event – trailing Penn 76-75. Once again the Penn 4 x 800 meter relay team had a strong performance. Avery Richardson, Josh Temeles, Derrick Pennix, and Ricky Chapple all performed well as the Kingsmen ran a time of 8:47.6. Collin Mott and Vince Nierzwicki finished first and second respectively in the 110 meter hurdles as they did in late March in the outdoor season opener. The Kingsmen also won the 4 x 100 meter relay in a time of 43.7. The runners were Tiegan Bothun, Tye Zahner, Nick Hardrict, and Kevin Krutsch who sealed the deal for the Kingsmen with a blazing sprint to the finish as the final leg of the relay. Tristan Manis and Ricky Chapple finished first and second in the 400 meter with both runners finishing in 53 seconds or lower. Collin Mott and Vince Nierzwicki also finished first and second in the 300 meter hurdles with Mott running a 41.3 and Nierzwicki running a 41.4. Caden Paquette continued his dominance with a throw of 146’11” and an individual victory. Kevin Krutsch won the high jump once again with a jump of 6’8″. 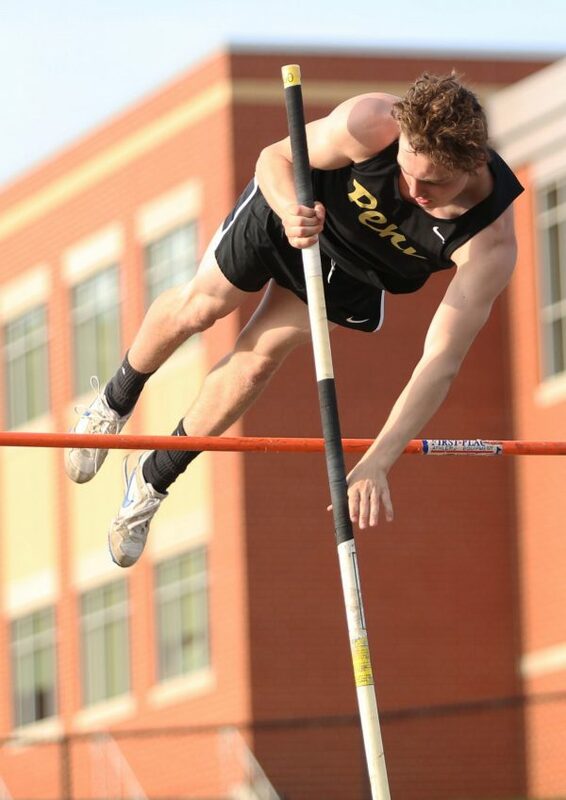 Logan Hill won the Vole Vault for the Kingsmen with a jump of 11’6″.